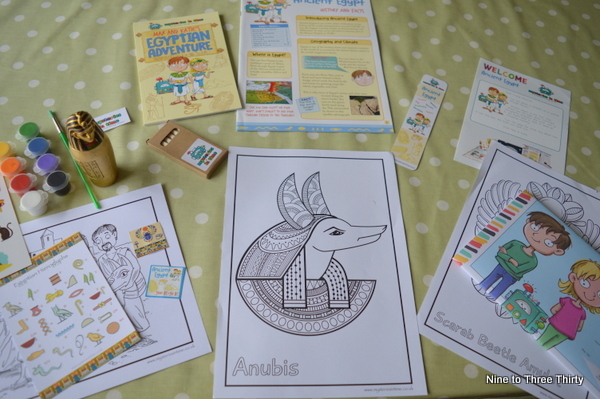 We were recently asked to review Mysteries In Time, which is a monthly history subscription box for children aimed at the 7-11 age group. H loves history and often complains about the lack of lesson time that history gets at school (National Curriculum designers please note). 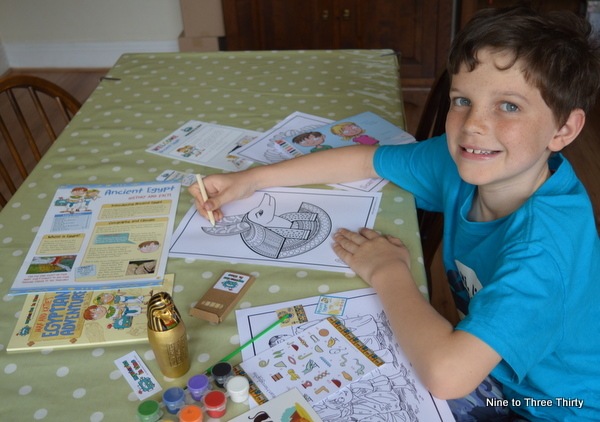 The Mysteries in Time Egyptian box was a big hit and we felt it would make a lovely gift for any child interested in history. What a great idea! Mine are too little for this at the moment but it’s definitely something to remember for when they’re bigger! Subscription boxes are just getting better and better! This looks interesting. Think my 10 year old would love this as she loves things like this. 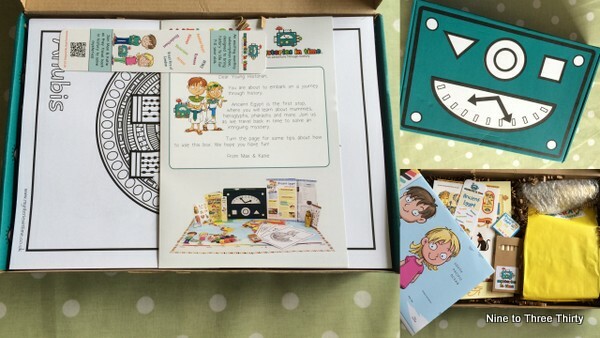 That’s a great idea, I know my kids love their history lessons and would be happy to receive a box with so much to do. Wow, this is exactly the sort of box my son would have loved when he was younger (and me too!) we both love history! This looks ace, will have to try and remember it when Syd is a bit older as my other two are both past the suitable age now! This looks like a really good subscription box! Fun but educational too. My daughter would love this as she is mad about history! I think I am going to have to look at taking out a subscription to this! If history was more interesting at school I think I would have liked it.. but it was made to be just about dates and names. Oh, this is beautiful! Another subscription box I hadn’t heard of, and it’s so appealing! Thanks for the review :).